As many people know, and some people complain about, I am a massive fan of shoes. Even if, because of my bad back, I am relegated at the moment to wear hideous orthapedic looking flats. This makes me sad, especially when I think about the beautiful heels I could be wearing. Why? Er, maybe cause that ball shaped platform is made from elephant poo. Ew. I thought stepping in dog poo was bad enough. 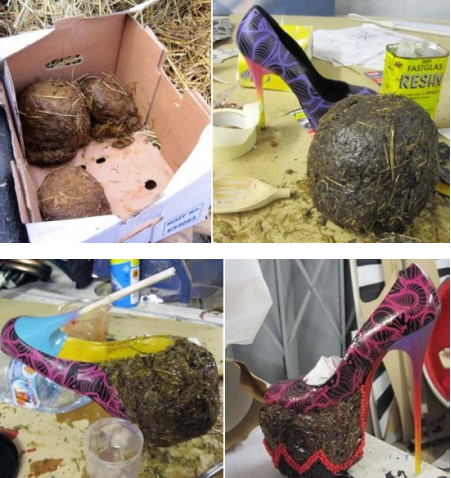 WOW they are a pretty unusual pair of shoes… especially when you mentioned elephant poo. 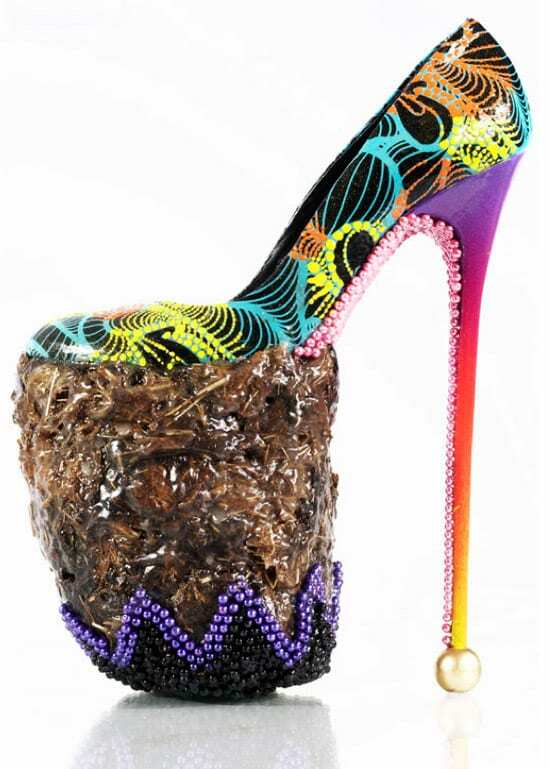 they are the ugliest shoes I’ve ever seen lol, even with the colours and glitter…. .-= Rhianne´s last blog ..An unexpected surprise… =-. I acutally don’t know what to say… Ew. .-= Intrinsically Florrie´s last blog ..Happy birthday Mummy! Powis Castle =-.